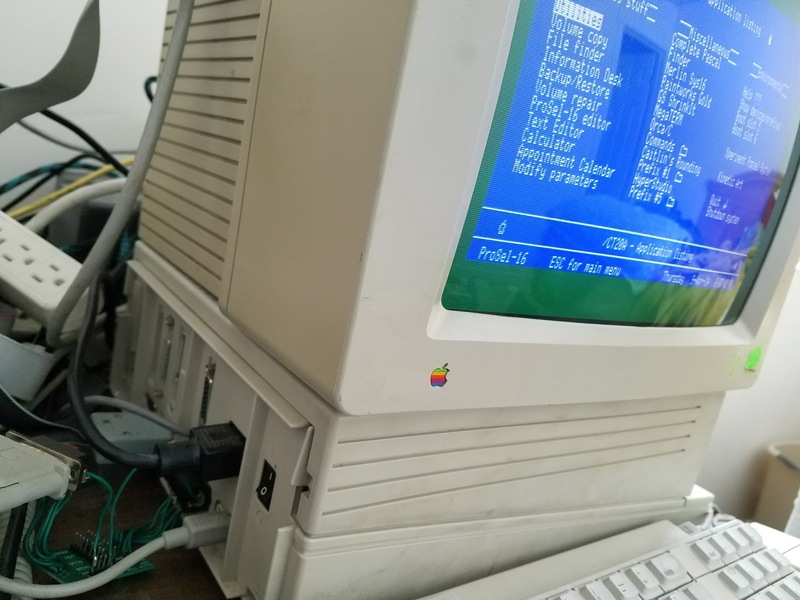 My favorite 80's computer by far is the Apple IIgs. I had this machine as a kid growing up and thought it was awesome. I think I was even more stubbornly loyal because so many of my peers refused to give it the respect that it deserved. Well, the Apple IIgs stock RGB monitor is intriguing to me because it is relatively small and I do a lot of work with arcade game PCBs in a bench type setting. 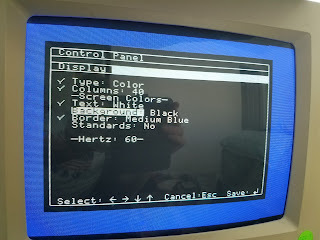 I have a need of a nice compact RGB monitor for testing and so if I can somehow use the Apple IIgs monitor for this purpose, that would be awesome. Never one to rely on other people to achieve my goals, I decided to take matters into my own hands and created a little break-out PCB so that I could 'sniff' the RGB signals myself and get my own answers. 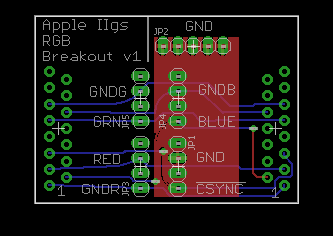 I whipped this up as fast as possible because I knew that I would only need this board once and then probably would never use it again. This was a mistake to rush through this, but not a fatal one. 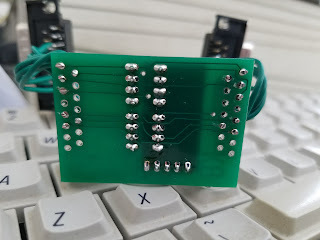 On a recommendation from a friend, I decided to use pcbway.com to make the PCB. 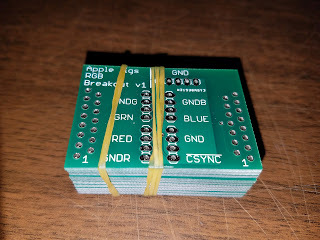 To my shock, I had the PCB in my hands in only 7 days after placing the order. And it was from China!! 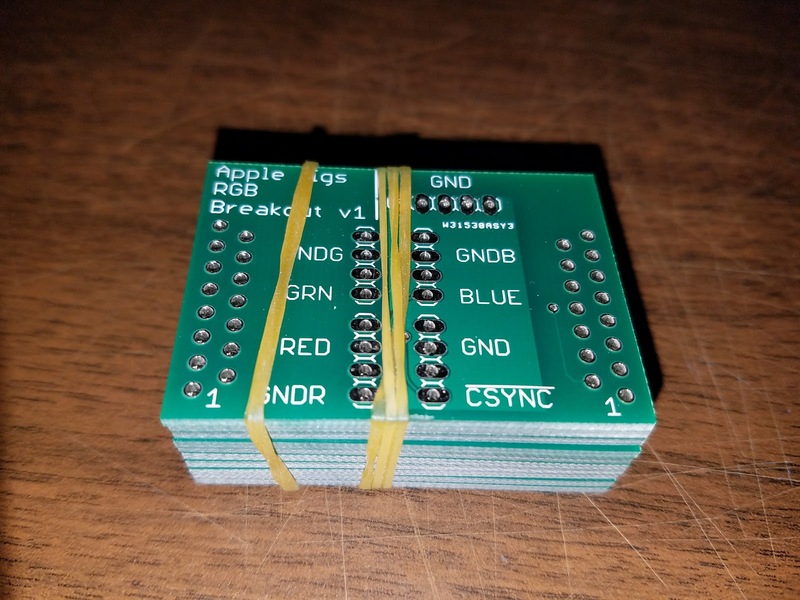 Only cost me $10 for 10 boards (why buy one when you can get ten? lol) and $20 for shipping which is a steal in my book. Awesome! 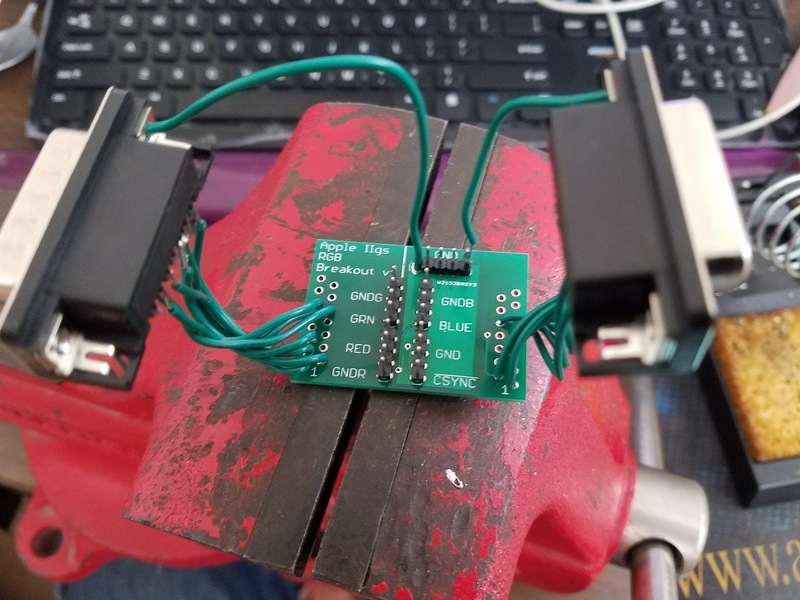 After ordering the rest of the parts I needed from digikey.com, I whipped out my soldering iron and got to work. It was then that I realized my mistake. I wasn't paying close attention to the DB15 datasheet and ended up having the two connectors facing INWARD instead of outward. That simply was not going to work!!! Not to be defeated, I decided to solder on wires and hack the thing together enough to do what I wanted. Once I got this far, I decided to hook up my Rigol scope to the CSYNC and BLUE signals to see what kind of voltage levels I was getting. 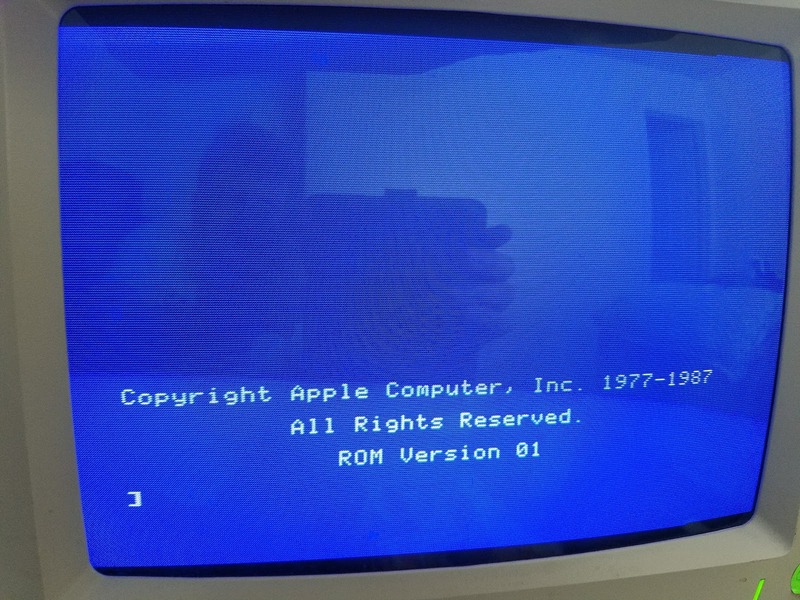 I decided to use a nice nearly solid blue screen so that I could see what the full blue intensity would be. 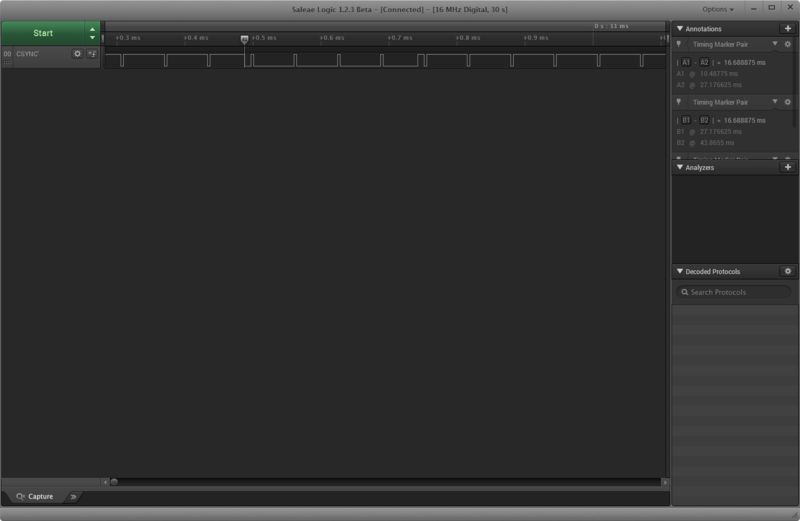 Interestingly, the blue signal seems to also contain sync information. 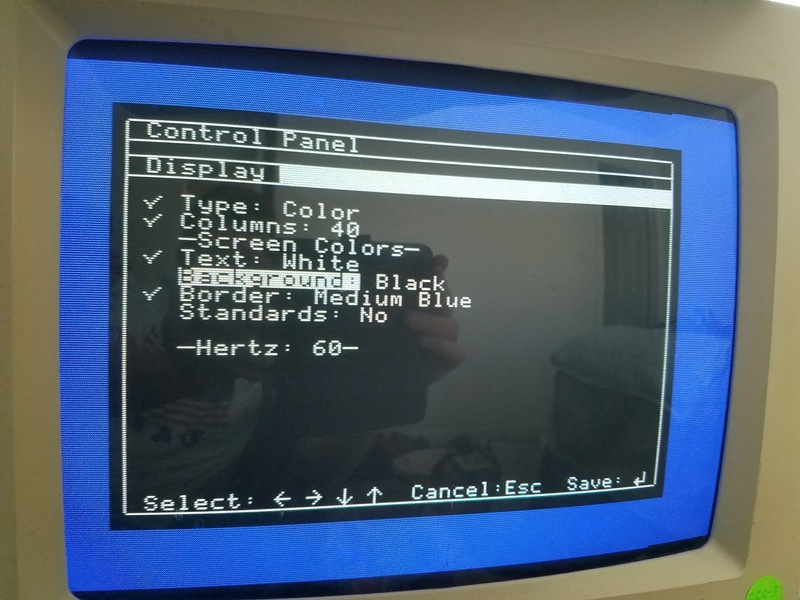 I really don't understand why they would do this and I strongly suspect that this monitor will probably work without the sync info being part of the color voltages. But I guess I'll find out. 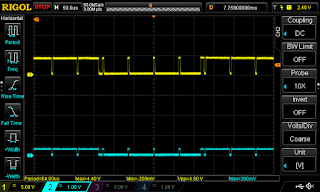 At any rate, I observed that the sync was a fairly typical negative composite sync signal going from 0-5V with hsync being mixed with vsync. I've seen it both ways where the vsync is a solid low pulse and where vsync has hsync mixed in with it. 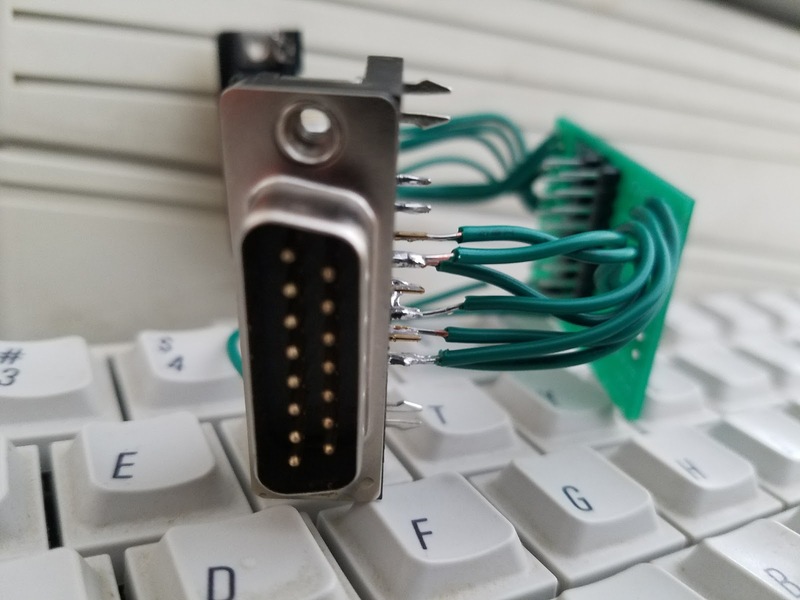 This is, I believe, what the jamma csync looks like (or is pretty close at least). 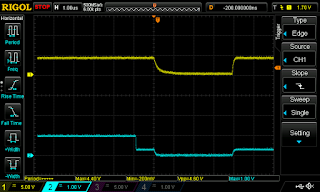 It looked like the voltage was going from 0-1V. I'm glad I checked this because I would've assumed it would've been from 0-5V. If I do rig up arcade PCBs to talk to this monitor, I'll probably need to drop the voltage down to avoid damaging stuff. This is what I was expecting. 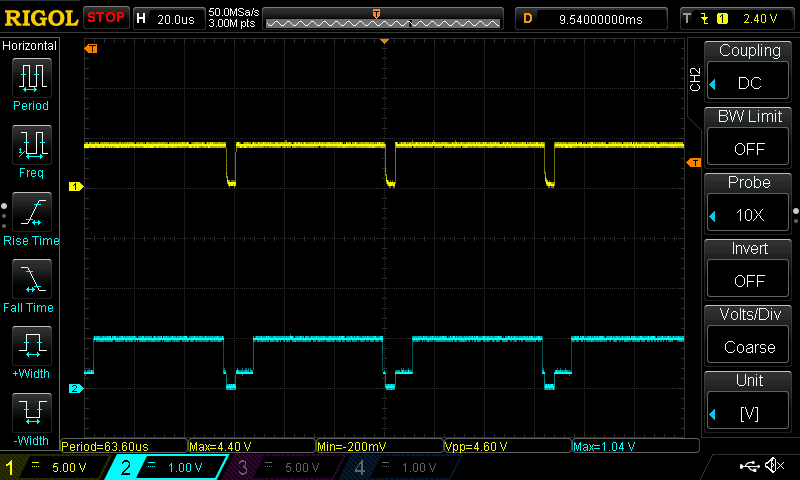 By zooming in a single line, I was expecting to see 1V near the beginning of the line, followed by a drop in voltage to indicate black, followed by 1V again toward the end of the line, and that's exactly what I am seeing here. 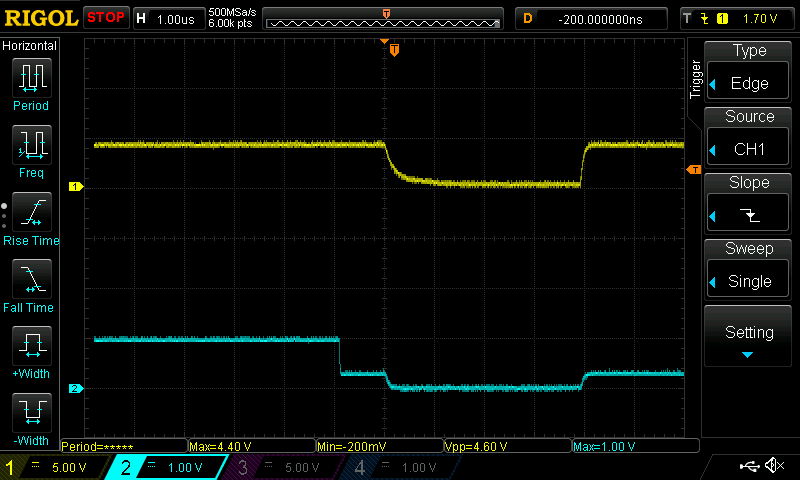 Interestingly enough, black seems to be around 0.3V, not 0V. 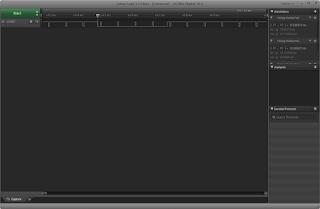 It seems that 0V is reserved for sync signals. 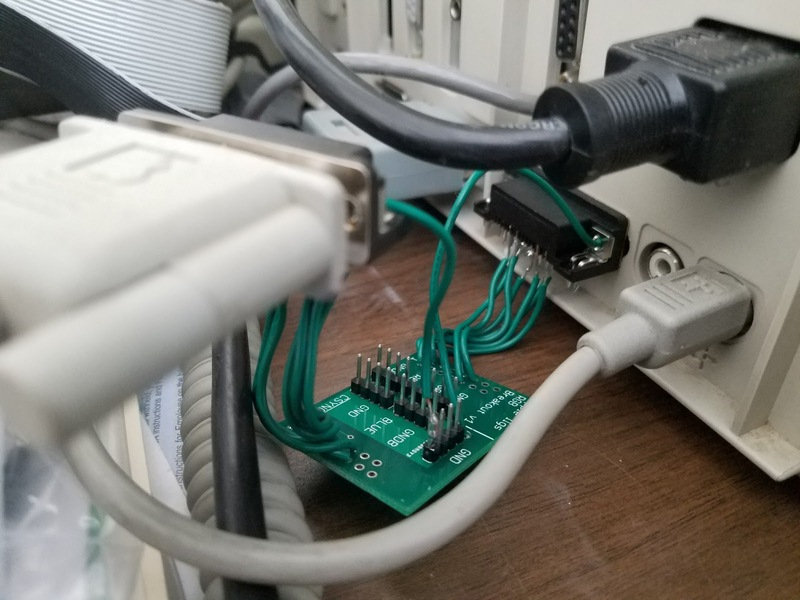 This is pretty similar to how NTSC composite works. 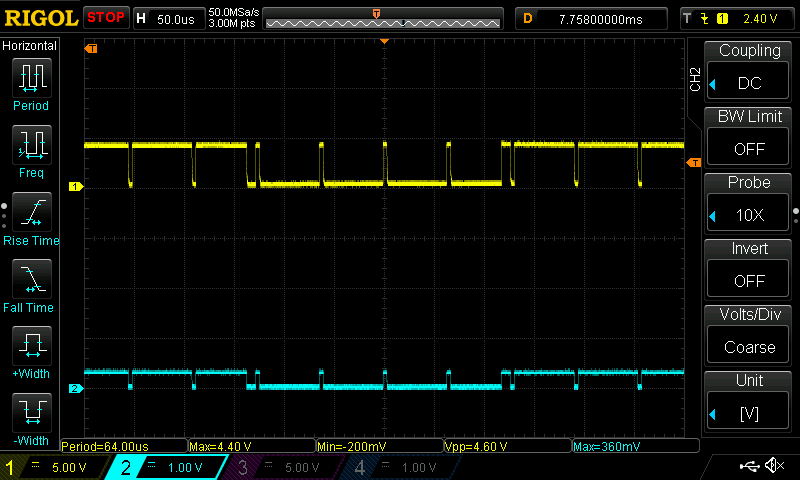 The last thing I wanted to document was whether this signal had fields like an NTSC signal. 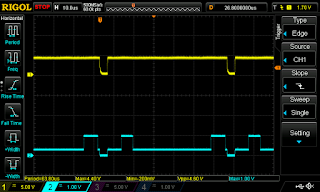 The NTSC signal's vsync pulse is slightly different depending on whether it is a top or bottom field. 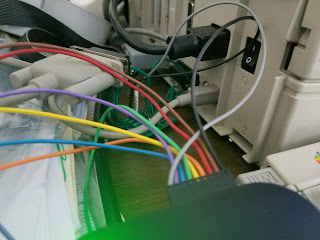 I wanted to see whether this RGB sync had the same kind of characteristics. 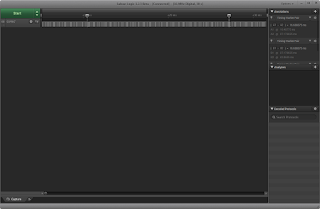 As you can see, the interval between each vsync pulses is "exactly" 16.689 ms with no variation. 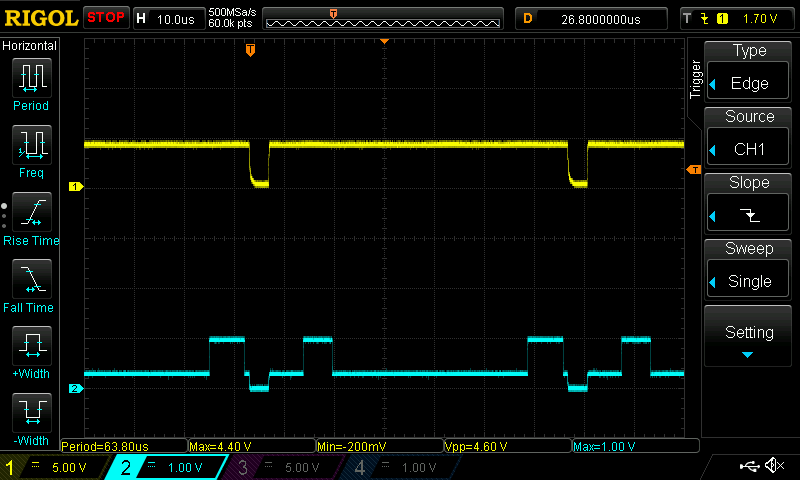 This means that it is a ~60 Hz signal but that it not like NTSC composite where top and bottom field vary. However, I am not sure what it _does_ mean :) I don't have a lot of experience with progressive signals, but if I were to guess, I'd say that this is a progressive signal and that the entire frame is being sent 60 times per second. 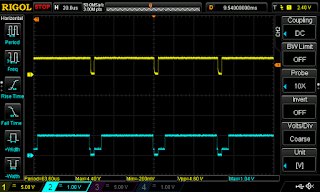 The hsync pulses were similar to NTSC (63.5uS apart) so I'd guess that this means that this signal is describing 525/2 lines just like NTSC (~262.5ish but without the decimal since it's progressive). 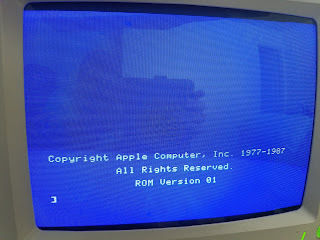 That would kinda make sense since the IIgs can display 200 vertical lines and it has this extra border on the top and bottom. But I'm kinda just speculating at this point. 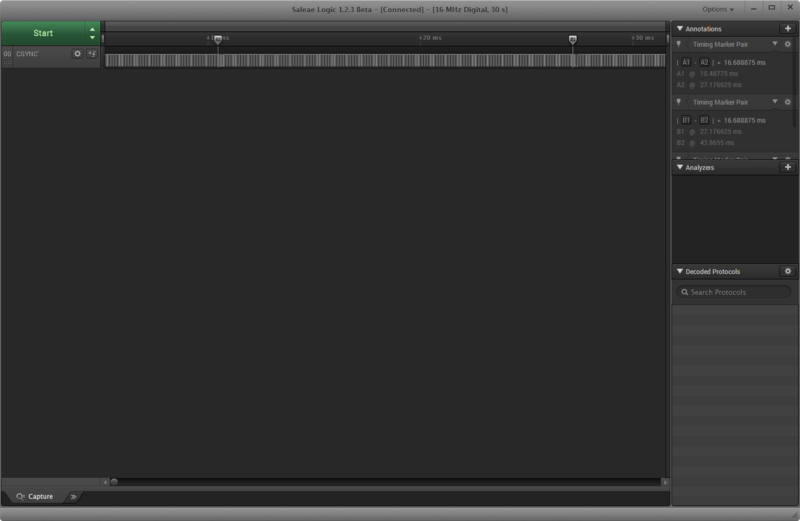 a) if arcade game has separate positive vsync and hsync, I'm going to need something like an xnor gate to combine them. 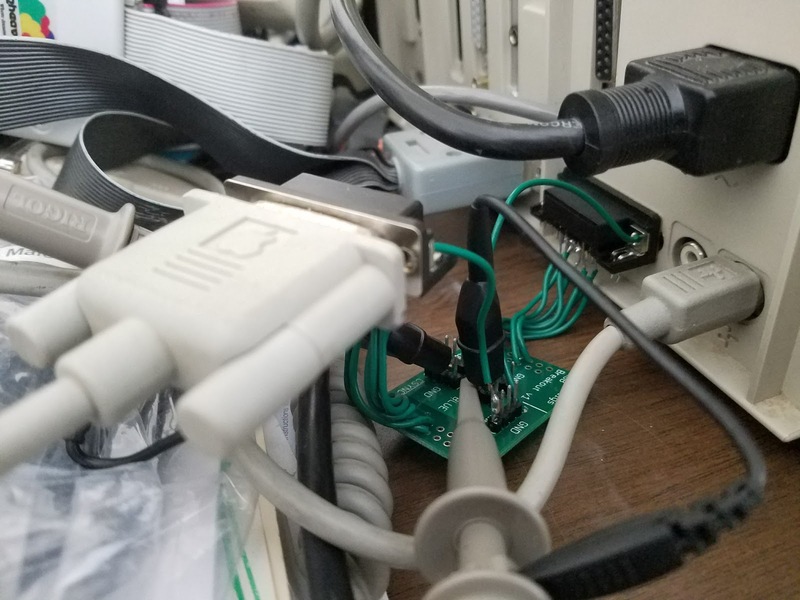 Otherwise if it's just a jamma csync signal, I may be able to use it unmodified. b) if arcade game RGB voltages are 0-5V, I'll probably have to add some resistors to drop the voltage down to 0-1V. This may be something that I play around with until I find values I like. I hope you enjoyed my journey. 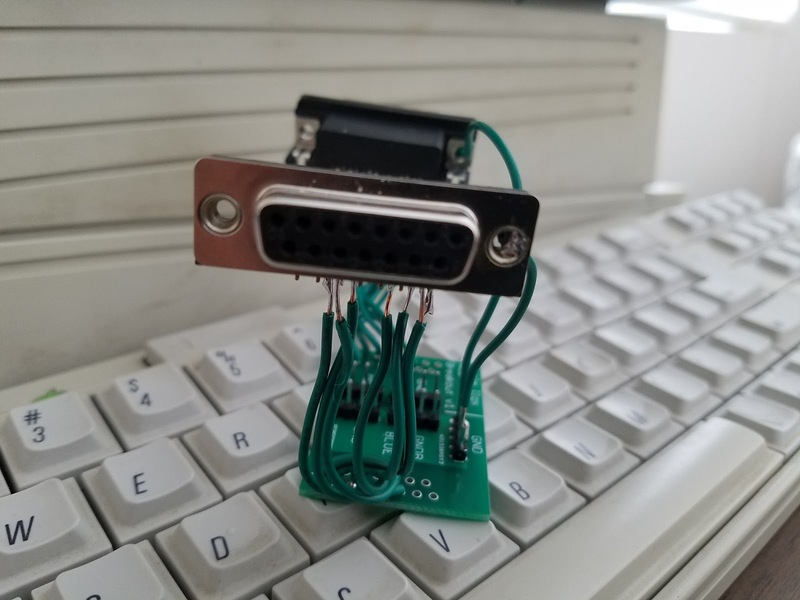 I bet a lot of people would be interested in a device that converts the IIgs video output into HDMI, or something else that could work with a modern monitor. I use the composite video output on my IIgs, because I don't have anything I can connect to the RGB output. The composite picture quality isn't great. don't devices like this already exist?